Mr. James Frank Harris, of 114 Felton Drive, Milledgeville, Georgia passed away on Tuesday, February 12, 2019 at Navicent Health Baldwin, Milledgeville. Funeral services were held on Saturday, February 23, 2019 at 11:00 AM from the Jones Chapel AME Church, 3034 Carrs Station Rd, Sparta, Georgia. Interment was held in the church cemetery. Mr. James Frank Harris was born on April 28, 1937 to the late Olean Harris Choice of Milledgeville, Georgia. He attended school at Jones Chapel Church school. Later, he transferred to Warren Chapel Log Cabin. Early in his life, he joined Jones Chapel Church where he was a Trustee for the church. As his faith grew, his works did as he became a faithful and devoted Steward at Jones Chapel A.M.E. The church's congregation will miss him saying, "What time is it? It's giving time" during tithes and offering. Mr. James Frank Harris was united in marriage to Georgette McGee Harris on November 16, 1984. Through their union, their families joined as created one family unit to share unforgettable memories with their blended families. James Frank was a loving, devoted husband, father, grandfather, great-grandfather, and Godfather. Mr. James Frank Harris enjoyed working for his home church and working to maintain the integrity of its long traditions. He also enjoyed watching car racing and wrestling on television. James Frank religiously was caught working in his yard and conversing with his supportive neighbors. 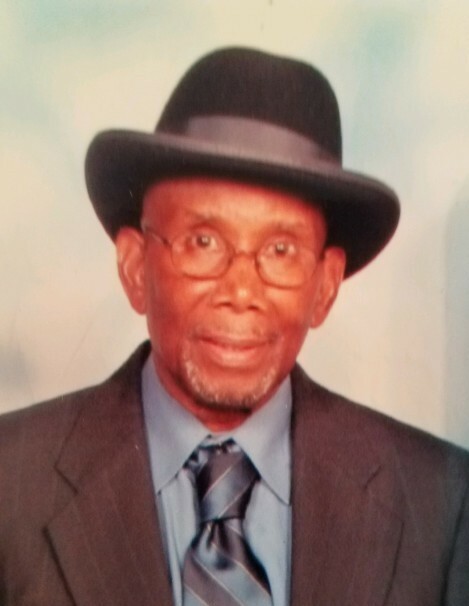 Survivors of the late James Frank Harris include his loving wife, Mrs. Georgette Harris and their children; a host of grandchildren, greatgrandchildren. Five brothers preceded him in death: Mr. Jesse Choice, Mr. Charlie Allen Choice, Mr. Larry Choice, Mr. Alonzo Choice, and Mr. Lee Ross. Surviving brothers include Mr. Milton (Pauline) Choice, Mr. Gerald (Yvonne) Choice and Mr. Hurtie Ben Moore all of Milledgeville, Ga. Surviving sisters: Mrs. Janice (Charles) Geese and JoAnn Choice Oliver both of Lithonia, Ga. Mrs. Elois Finney and Mrs. Lillian (Avan) Johnson both of Milledgeville, Ga. Ms.Jeanette Choice and Annie Lois Choice-Joseph both of Boston, Mass. ; sisters-in-law; Ms. Annie Kate Choice, Ms. Vera Choice. Ms. Bernestine Choice all of Milledgeville, Ga. Godson and buddy Master Aiden West and Goddaughter Miss Zykeriah Bell. Host of neices, nephews, cousins, and friends.